This office is not open to the public; enquiries via the website only. Telephone: +44 20 7317 2011. By appointment only; open 0900-1600 Mon-Thurs, 0900-1400 Fri.
Culture lovers should explore Spain's capital, Madrid. Museu del Prado is a must; it boasts one of Europe's finest collections of art. Also worthy of a visit is the Museo Nacional Centro de Arte Reina Sofia, which focuses on modern art and houses Picasso's famous Guernica. 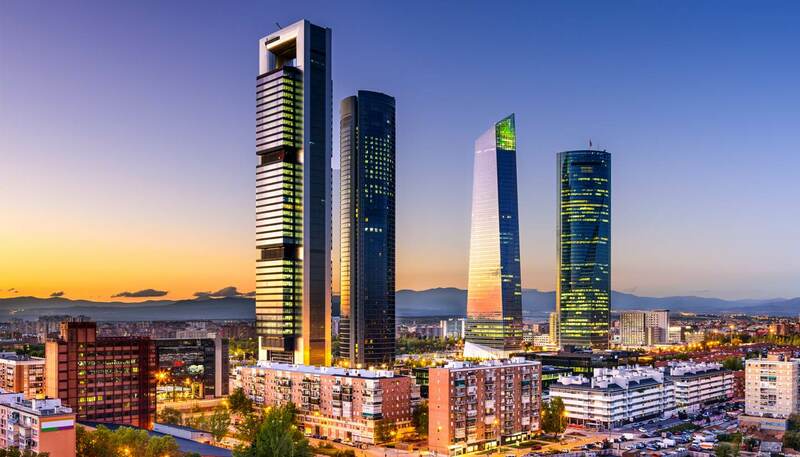 Don't miss the Museo Thyssen-Bornemisza, Madrid's Royal Palace, the atmosphere around Puerta del Sol and Madrid's historic square, the Plaza Mayor. Discover Moorish Spain in the winding streets of Córdoba, the former seat of the 10th-century Caliphate. The Mezquita (Great Mosque) is a mystic wonder and World Heritage Site. Originally a pagan temple, then a Christian Church, the Moors converted it into a mosque. Just outside the city, the ruins of Medina Azahara are similarly atmospheric. Explore the Caves of Drach on the island of Mallorca. There are three chambers inside, Cueva Negra (Black Cave), Cueva Blanca (White Cave) and Cueva Luis Salvator (Luis Salvator Cave), as well as Lago Martel (Lake Martel), one of the largest subterranean lakes in the world. Take a boat ride to this otherworldly spot and see the beautiful limestone formations. The controversial tradition of bullfighting is still very much alive in Spain, especially so in Madrid. Most towns only hold bullfights during their annual spring or summer fiestas, but Madrid's Las Ventas Bullfighting Ring hold regular corridas. If an actual bullfight seems to much, Las Ventas also offer guided tours for those that wish to understand the history. Situated in the very centre of La Gomera in the Canary Islands, Garajonay National Park boasts stunning scenery set amongst rocky vistas. Measuring 3,984 hectares (9,845 acres), the area was inscribed on the UNESCO World Heritage list in 1986 in recognition of the its outstanding natural beauty. Well-marked trails make it a popular visit for outdoor enthusiasts. 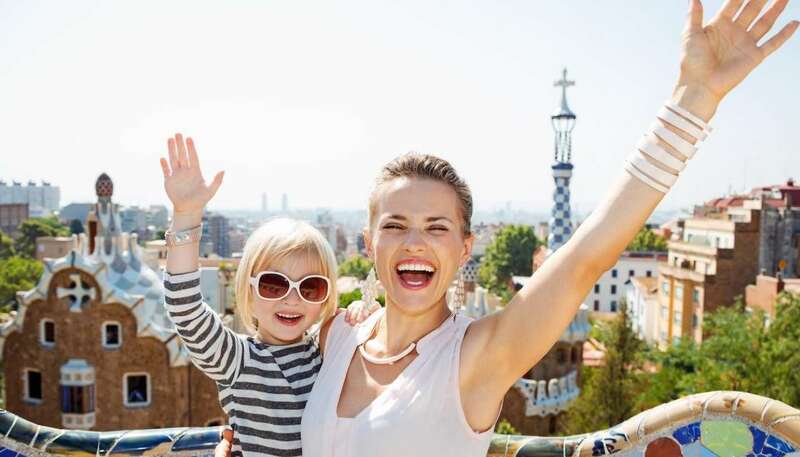 Immerse yourself in Barcelona, from the cramped alleyways of the Barri Gótic (Gothic quarter) to the 19th-century Eixample quarter, where many Gaudi buildings lie. Stroll along the Rambla and onto old Barceloneta and the seafront. 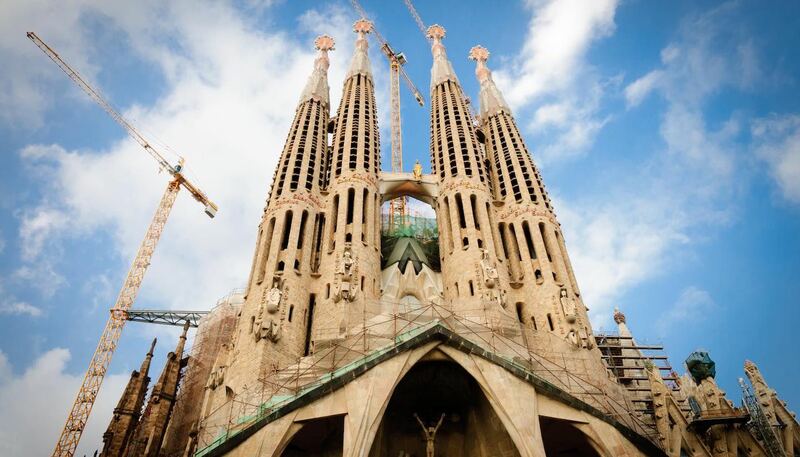 Sights include the Sagrada Familia (Holy Family), the Seu (old cathedral), the Episcopal Palace and the Palau de la Generalitat. This giant theme park, which opened in 1994, boasts five different worlds (Mediterránia, Far West, Mexico, Polynesia and China) of rides and attractions. Enjoying an enviable coastal location, between Salou and Vila-seca on Spain's Costa Dorada, this 117-hectare site (289 acre) is aimed at all ages and includes on-site hotels. The green valleys and picturesque fishing villages of this northern province don't feel like traditional Spain, and when you encounter the cider culture and bagpipes you'll wonder just how strong Celtic roots can be. Super seafood and hospitality redeem the regular rain showers. Swimming, jetskiing and waterskiing facilities can be found at nearly all seaside resorts. Spain's premier resort for windsurfing and kitesurfing is Tarifa, on the Atlantic coast, and it is blessed with strong winds and a beautiful stretch of aqua-blue sea. Surfing is big in the north, particularly around the Basque village of Mundaka. Spain is also great for sailing. The province that packs it all in could take weeks of your time, from the hiking around the picturesque white villages of its interior to its breezy Atlantic beaches and world-famous Sanlúcar prawns. Cádiz itself is a spectacular peninsular city with a unique atmosphere, while Jerez is home of sherry. Golf is immensely popular, with Costa del Sol and La Manga two of Spain's premier golfing destinations. The south of Spain has over 200 golf courses including the famed fairways of Valderrama, plus many of mainland Europe's finest championship courses. PGA Catalunya, near Girona is a challenging round for amateurs and professionals alike. Run with (or rather, from) the Jandilla fighting bulls or join with the crowds at the Festival of San Fermín in Pamplona. The famous Running of the Bulls through the streets of the centre takes place in July and attracts huge numbers of tourists. Visit Frank Gehry's marvellous Guggenheim Museum, which has turned the main city of the Basque region into a top tourist destination. The museum is a masterpiece of 20th-century architecture. Bilbao's Old Town is extensive with a gothic cathedral and atmospheric shopping streets studded with gourmet pintxo bars. The Monastery of San Lorenzo de El Escorial was built in the 16th century by King Philip II of Spain. Famed for its symmetrical design, with four towers marking each of the monastery's four corners, the magnificent interior houses art world and a 40,000-volume library. Its baroque Royal Pantheon is the resting place of many Spanish monarchs. Andalucía's hedonistic capital, Sevilla, is the romantic heart of Spain and home of flamenco, Carmen and Don Juan. Wander the narrow streets of the Jewish quarter, snacking at tapas bars, and admire the immense cathedral, the world's largest gothic temple and third largest Christian church. Opposite, the Alcázar is a superb example of Mudéjar (Christian-Moorish) architecture. The impressive palace-fortress of Alhambra is a supreme creation of Moorish Spain, featuring majestic Arabic gates, intricate carvings and patios – Spain's most significant Islamic architecture. Perched on the hilltop of Granada city, this UNESCO World Heritage Site is one of the most visited monuments in Spain. Head south of Madrid to this ancient Spanish capital, which is dominated by the magnificent cathedral and Alcázar. The cathedral has a magnificent series of paintings by El Greco, who made his home here; his Burial of the Count of Orgaz is in the Santo Tomé Church. Known as St James' Way, the pilgrimage route is a number of different walking trails that lead to the St James Cathedral in Santiago de Compostela, Galicia in northwest Spain. This was originally a pilgrimage route, although it has become a recreational trail. The route is marked with a scallop shell, the symbol of St James. Check out Santiago Calatrava's City of Arts and Science Park in this forward-looking southeastern city. The Hemispheric, an amazing glass structure, houses a planetarium, IMAX dome and laserium. While in Valencia, visit the cathedral, it claims possession of the Holy Grail, the chalice used at the Last Supper. Heartbreakingly beautiful Romanesque and gothic architecture can be found across the north of the country, with the lonely San Juan de la Peña in the Pyrenees competing with Soria's San Juan de Duero and Burgos province's Santo Domingo de Silos as the most atmospheric cloisters.